Cryogenic valves are the special-purpose valves that find usage in products that are used to store and transport a variety of gases that take up much lesser space or are easier or more convenient to handle and/or transport when cooled at cryogenic temperatures, such as natural gas, oxygen, nitrogen, hydrogen, and helium. Inland and offshore transportation and on-site and off-site storage of these gases constitute a big chunk of the overall revenue of the global cryogenic valves market. This report is a thorough analytical study of the past and present growth dynamics of the global market for cryogenic valves. The report is an in-depth and professional overview of the cryogenic valves market, with a lucid region-wise breakdown of the market for added clarity. In the recent years, the demand for cryogenic valves has significantly increased across the energy and power industry owing to the rising uptake of liquefied natural gas across a number of industrial applications. The market will also benefit over the forecast period from the continuous rise in the array of industrial gas applications. A vast rise in the number of production plants producing industrial gases such as nitrogen, oxygen, helium, argon, and carbon dioxide has been seen across the globe in the past few years. The number of on-site production plants for industrial gases is also on a rise globally. These factors are also expected to provide a huge boost to the global demand for a variety of cryogenic valves, driving the global market. However, stringent quality- and safety-related standards that need to be followed to manufacture and market cryogenic valves can add massively to the base cost of cryogenic valves. However, the market has become highly competitive in the past few years are companies are looking into ways of providing consumers economical products. These pressures could negatively affect the profitability of companies operating in the global cryogenic valve market to a certain degree. The report segments the global cryogenic valves market on the basis of criteria such as gas, end-use industry, valve type, application, and geography. Based on gas, the market has been segmented into varieties such as nitrogen, natural gas, oxygen, hydrogen, and helium. Based on the type of cryogenic valve available in the global market, the report covers varieties such as butterfly valves, ball valves, globe valves, and gate valves. On the basis of end-use industry, the report segments the global cryogenic valve market into energy and power, food and beverages, and chemicals. In terms of application, the market has been studied for cryogenic boxes, cryogenic tanks, gas trains, and transfer lines. It is estimated that the segment of natural gas in terms of gas types will help the global cryogenic valve market acquire its dominant share in revenue. In terms of product type, the segment of ball valves will account for the dominant share in revenue. In terms of end-use, the energy and power sector will continue to remain the key consumer. 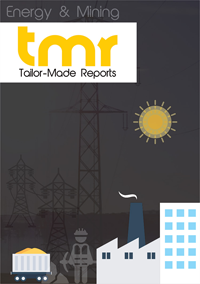 From a geographical standpoint, the market in Asia Pacific is expected to account for the dominant share in global revenue, thanks to the massive rise in demand for LNG and several chemicals in rapidly industrializing emerging economies such as India and China. The report also presents a detailed analysis of the competitive landscape of the global cryogenic valves market, profiling some of the key vendors in the market. Leading vendors operating in the global cryogenic valves market are Parker, Emerson, Schlumberger, Flowserve, and Weir Group.